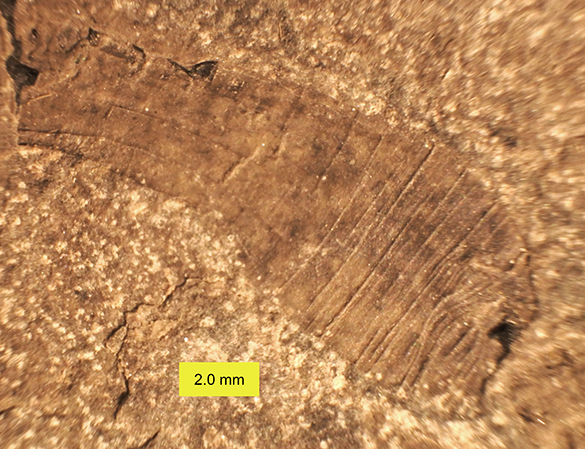 This week’s fossils are a set of cool sipunculan worms from the Lockport Shale Member of the Racine Formation (Wenlockian, Silurian) of Blue Island, Illinois (which, it turns out, is not an island.). This is Lecthaylus gregarius Weller, 1925. (There is a common misspelling of the genus name as “Lecathylus”, which is how it is labeled in our collection.) They are masses of partially-carbonized bodies and external molds in a very fine-grained matrix. They are well known from this particular fossil-lagerstätte (a fossil fauna of remarkable preservation) in northern Illinois. 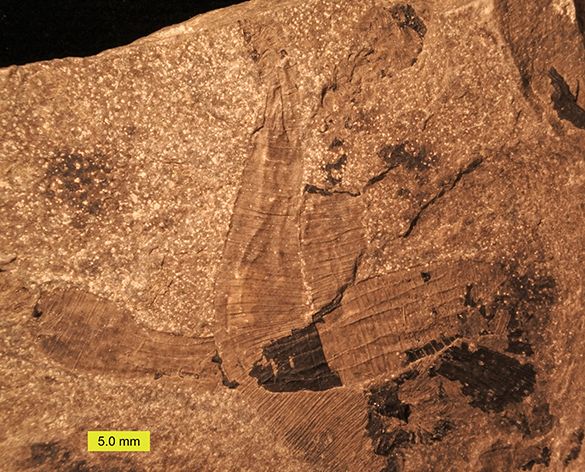 The Phylum Sipuncula did not often make it into the fossil record because of their entirely soft bodies, but a few are preserved way back in the Cambrian Chengjiang and Burgess Shale faunas. They show virtually no evolutionary changes in their long run to today, at least not in their outer form. They are commonly known as “peanut worms”. 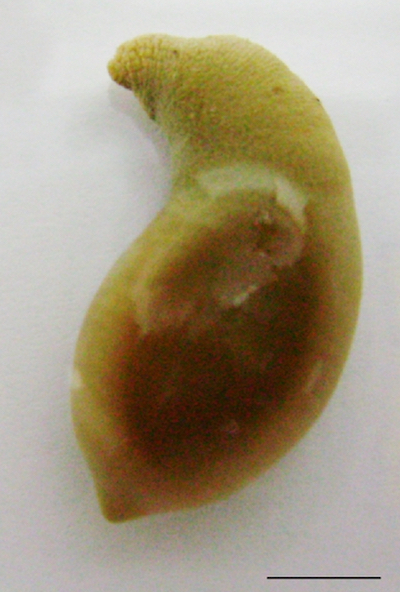 This is an example of the preservation modes: a black carbon film that has mostly flaked away, leaving behind a detailed external mold of the squashed peanut worms. 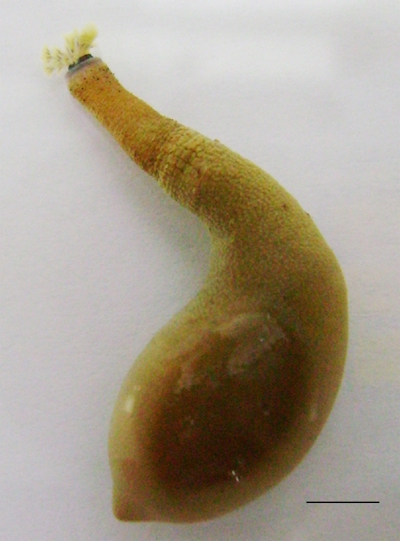 Sipunculan bodies are divided into a main thick posterior trunk and a narrow, retractable anterior “introvert”. We’re looking here at the anterior introvert of Lecthaylus gregarius. This is the squat trunk of Lecthaylus gregarius. Here is the modern sipunculan Themiste petricola with introvert extended. It is the same basic plan as the Silurian Lecthaylus gregarius. Image from Wikipedia courtesy of Tomás Lombardo and Guillermo A. Blanco. The modern sipunculan Themiste petricola with its introvert retracted. Image from Wikipedia courtesy of Tomás Lombardo and Guillermo A. Blanco. Lecthaylus gregarius was described and named by Stuart Weller (1870-1927), an American paleontologist and geologist. He was born in the small town of Maine, New York. He earned a Bachelor’s degree in geology at Cornell University in 1894 followed by a PhD at Yale in 1901. Shortly after his Cornell degree, though, Weller traveled to the University of Chicago, where he worked his way through the ranks from a research associate to a full professor of Paleontology and Geology in 1915. He was also the director of the Walker Museum at the University of Chicago, and in 1926 he was president of the Paleontological Society. One of his sons, J. Marvin Weller (1899-1976) had a remarkably similar career as a stratigrapher and paleontologist. Kluessendorf, J. 1994. Predictability of Silurian Fossil‐Konservat‐Lagerstatten in North America. Lethaia 27: 337-344. Roy, S.K. and Croneis, C. 1931. A Silurian worm and associated fauna. 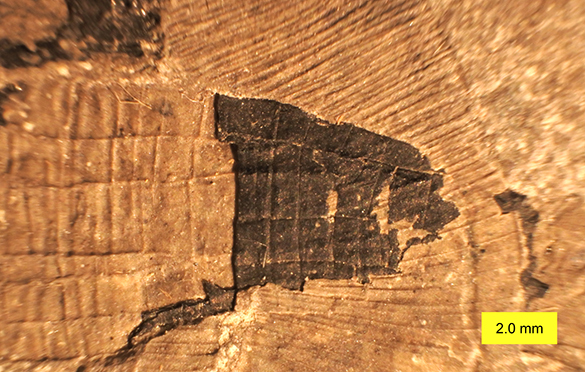 Field Museum of Natural History, Geological Series IV(7): 229-247. 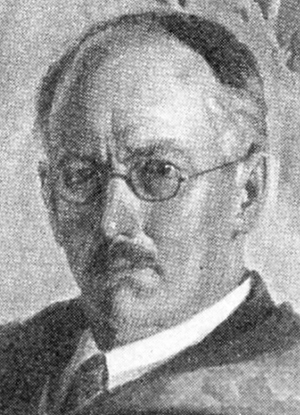 Weller, S. 1925. 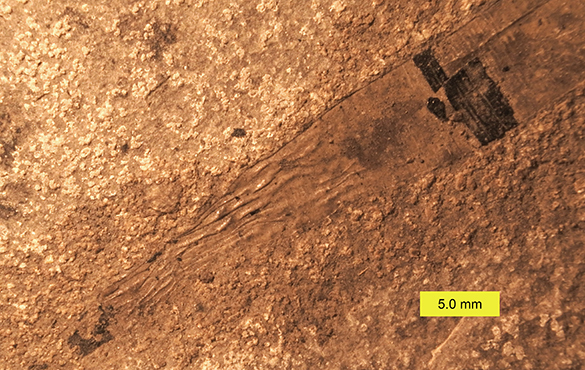 A new type of Silurian worm. Journal of Geology 33: 540-544.